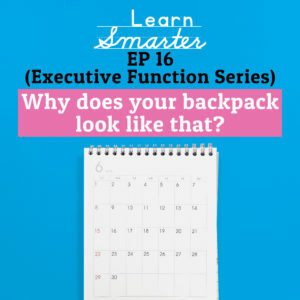 Rachel & Steph do a deep dive on backpacks in this episode. They talk about why backpacks become a black hole of papers, broken pencils and old food (yuck), what kind of backpacks actually help children NOT lose things, what should be in a backpack (and what shouldn’t) and backpack maps. They also talk about their system for “pruning the backpack” and why it is an essential component of educational therapy.